Every single day on social media we come across stories. Stories about things that are so sad that we can hardly believe them. Parents who make the mistake of leaving a room for a minute and end up losing their child. Car accidents that take lives too soon because someone looked down at their phone. People who make mistakes and pay for it with the loss of a loved one and/or another family loses someone they love. Over and over again, my heart breaks. And as it breaks, I think about how every single thing posted on the internet will be there forever and how these posts go viral across social media and the internet and the people suffering likely have to relive it EVERY SINGLE TIME they come across it. And my heart breaks again. 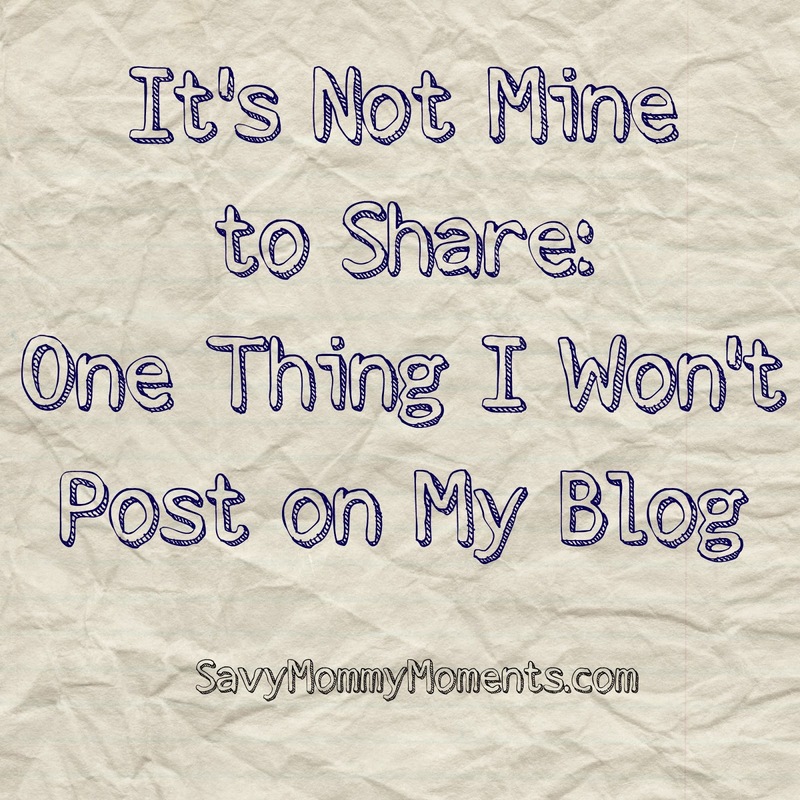 While I believe in and support social media and the internet and I support learning from other's mistakes, I will never, ever share one of those stories on my blog and/or turn it into a post. Why not? Because I can't even begin to think about contributing any further to the suffering these people are enduring. I don't want to add one more place for them to be reminded of what has happened to them or the mistakes they made. Not one more everlasting Google search result. I'm not interested in personally gaining by linking to their story in a post. I's not my story to tell or use to gain anything from. Because as much as you can say you aren't pointing your finger at someone else's mistake, when you use it for personal gain, you are. Now, does this mean that when I see a story about a young child who wasn't restrained in a child safety seat properly and was injured or killed as a result, I won't think about writing a child safety seat post about proper use? No, of course not. But, what you won't see in that post is any reference to a particular story. It wouldn't add anything to my post and will only negatively impact their family. I mean, imagine that I reference a current event on the subject and my post happens to go viral? That means it would be seen all over social media by thousands (possibly millions), and more than likely by those who are personally suffering as a result. I'm sure by this point in my post, you are starting to think about how spreading news stories is a form of prevention of it happening again. Well, yes, this is true. But, again, it's not my story to share or use. However, I am always willing to host any guest post from someone whose story it is. The parents that want to use their tragedy to raise awareness are more than welcome to ask me to share their story on my blog. Awareness is huge for the prevention of accidents, especially to children, so I am always in support of it, as long as it's something that the affected parties want and agree to. Otherwise, I will continue to provide you with important safety information for your families without linking to specific events. Those you can find on your own by "Googling".